Story: The film begins with Sanjay (Srinagar Kitty) along with his friend locking up an unknown man and torturing him with a camera filming the whole incident. The movie then turns to a flash back, where Sanjay narrates how happy he and his family was. 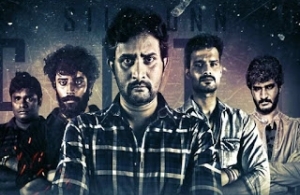 Sanjay who is working in an advertising agency along with his girlfriend Prerana(Kavya Shetty) is the eldest son of a retired Police Head-constable(Ashok) and a home-maker(Thulasi) and has a brother named Karthik (Suraj) who is an engineering student.